The updated Honda HR-V will get the 1.6-litre diesel engine next year. 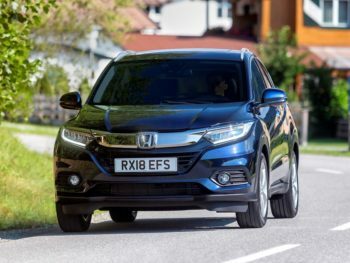 Changes to the HR-V are largely cosmetic, with a redesigned grille and bumpers, new wheels full LED headlights and tail lights on high-end versions, as well as improvements to the interior fabrics across the range, according to Honda. Comfort was also a priority, with re-shaped front seats and added noise insulation in the cabin. Selected versions will feature Active Noise Cancellation, which uses microphones to monitor sounds and then cancel them out using frequencies emitted by the speakers. From launch, there will be a single petrol engine; a 128bhp 1.5-litre i-VTEC petrol, which returns 53.2mpg and emits 121g/km CO2 when fitted with the continuously-variable transmission. The 1.6-litre i-DTEC diesel will follow in 2019. Prices and UK spec have not been announced yet, but production is already underway.